If you haven’t already noticed, there is a new face around Intermountain in the Flathead Valley. Earlier this year, Michelle Fetveit joined Intermountain’s team and has already made a profound impact. 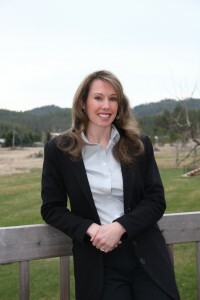 Michelle was hired to be the Development Manager for the Flathead Valley, a title previously held by Dave Creamer. Dave moved into the role of Donor-Investor Relations Coordinator, freeing him up to focus on securing resources needed to establish Intermountain as a children’s mental health leader in Northwest Montana. As the Development Manager, Michelle has her finger on the pulse of all fundraising in the area. A good portion of her time will be spent supporting volunteers as they plan our two major special events, the Summer Roundup and the Calling All Angels Gala. Additionally, Michelle will be working with area churches, schools and civic groups to continue to spread the word about the great work Intermountain is doing with Montana’s children and families. Other roles will include volunteer relations and management of in-kind (non-monetary) gifts. Michelle offers the exceptional attention to detail, strong work ethic and warm personality that this position demands. We are excited to watch her grow into her role and help Intermountain make an even bigger, longer-lasting impact on the Flathead Valley. A graduate of the University of Arizona, Michelle is married to Flathead Valley native David Fetveit. She and David have four sons and live in Lakeside. I encourage you to reach out to Michelle and welcome her to the team at (406) 755-4022, ext. 3008 or michellef@intermountain.org.